You guys are probably sick of my Fall and Halloween stuff by now, but I just had to show you this. This is an old bottle that I found at a garage sale in August. 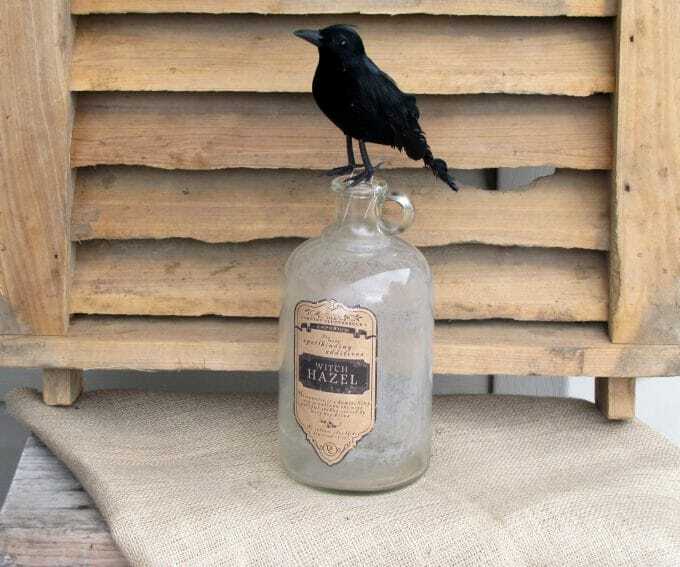 at JoAnn Fabrics the other day I immediately thought of my sad old bottle. I knew there had to be something similar online somewhere that I could print out for free instead of giving Martha my money. And why yes, there was! 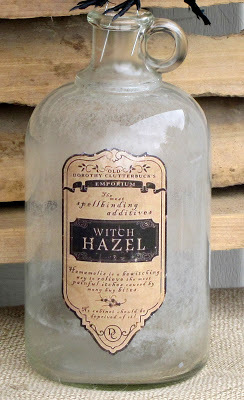 I found this cool vintage looking Witch Hazel label on a website, so I Mod Podged it to my foggy bottle. Now, I found this at a blog called Coco and Bella . 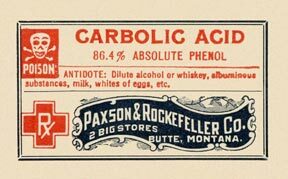 It’s not a blog I had ever been to before, I found it by Googling “vintage poison labels” and one of the images that came up was from her blog. I also found that Spookshows.com has some vintage poison labels that are free printable images. Here are some samples of what they have at that site. 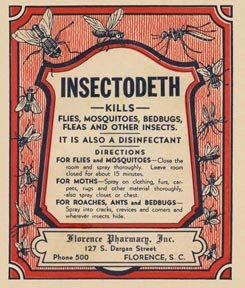 This last one is sort of timely with the epidemic of bed bugs being in the news. 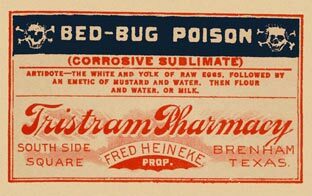 I will spare you the bed bug photo I found. They are nasty looking little guys. Now I’m looking for other bottles to Mod Podge more labels to. 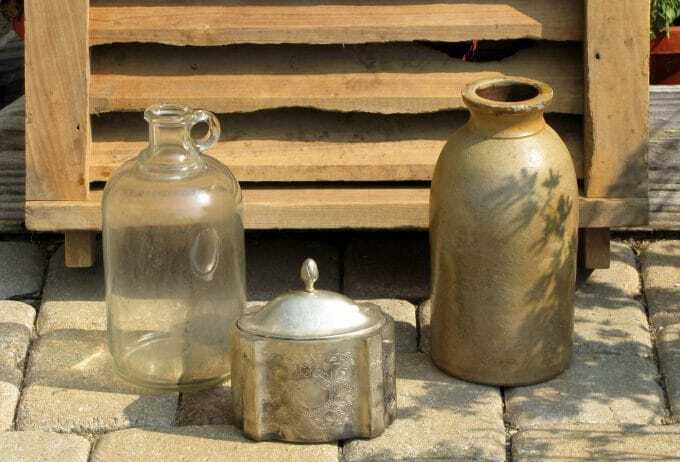 I have my eye on an old pickle jar in my fridge. Pickles for dinner! I printed out some labels yesterday. I should have thought ahead and started saving bottle and jars a while back. Love it- I love that bloggers here share so freely with each other. In the local crafting world there is such a protective “hedge” around each one that no one will breathe a word of where they found what. So, coming to Blogland is soooo refreshing. love! great ideas for this spooky season!! clever!! I have seen these label ideas around blogland and just love them. I plan on saving the think to do a few! INSECTODEATH…love it and need some for our hoard of spiders at the old house. You fixed up that cloudy old bottle just fine. I like it! Pam the labels are adorable for Halloween decorating! Very creative too. Thanks for checking out my fall tablescape and your kindness. I did buy the dishes on clearance last year. I’m not sure if they have them again or not? Your chubby bottle looks very Halloweenish now. 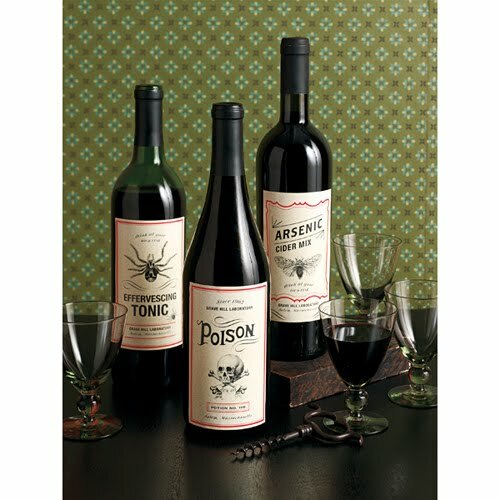 Pam, those bottles are really unique and I love the way you incorporated the labels. Awesome Pam!! Thanks for letting us know where to get those labels! 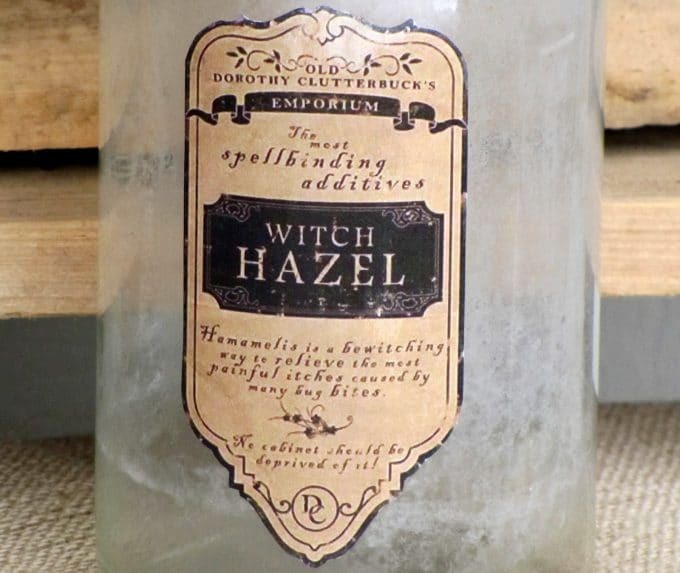 I like the look of the one you put on your bottle, makes it look authentic! This is a great idea. Perfect Halloween decoration. What a great idea! Thanks for taking the time to share your sources — and I’m sure they appreciate the mention in your blog!